We discuss very often about plate heat exchangers, but less about shell and tube heat exchangers. Let’s cover the gap and let’s talk about special shell and tube heat exchangers that we realize in Tempco for pharmaceutical industries, especially engineered to provide the production process with hot water from low pressure steam. 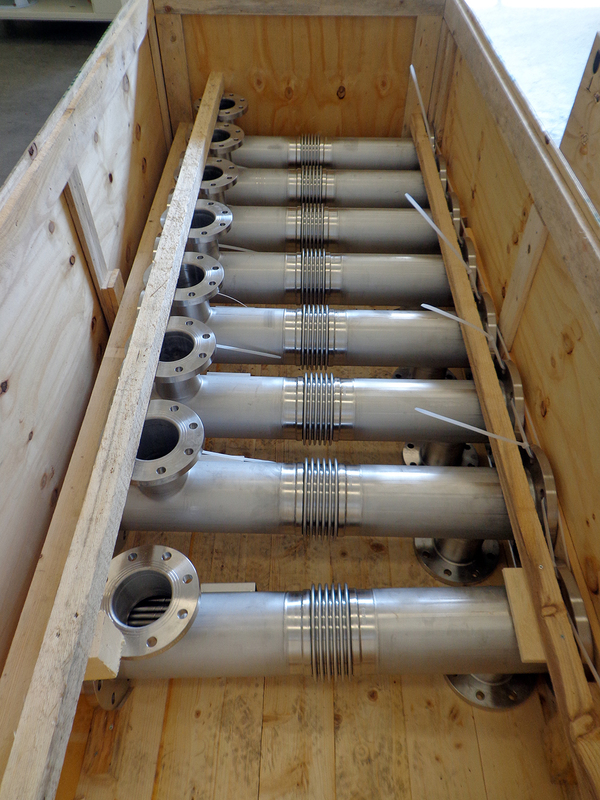 This kind of shell and tube heat exchangers for the pharma sector have special full stainless steel execution, meeting the hygienic requirements of the sector and to prevent possible corrosion in contact with aggressive substances. The construction is customized on customer’s process needs, in terms of connections and size. The type featured in the picture has flanged connections on water side, but are also available tri-clamp connections or DIN 1185. On steam side, the customer connects the heat exchanger’s sides directly to vapor pipes to the outlet of the regulation valve, on the exchanger inlet, and to the condensate discharge on outlet.